As much as we may be sad to see the summer sunshine slipping away, there’s one thing we can definitely start to get excited about...Autumn/Winter fashion! It feels like only yesterday that I was slipping into my trusty Salt Water Sandals whenever I ventured outside, but as I write this with torrential rain battering against my window (ahh Blighty we do love you really!). I’m actually craving popping to the shops and checking out the latest ankle boots, cosy socks and considering if I really do need another pair of pom-pom slippers (the answer is always yes!). September is the perfect time for new beginnings (I think that harkens back to the good old academic diary of school/uni) and also ideal opportunity to have a wardrobe clear out and indulge in a few new Autumn/Winter statement pieces. 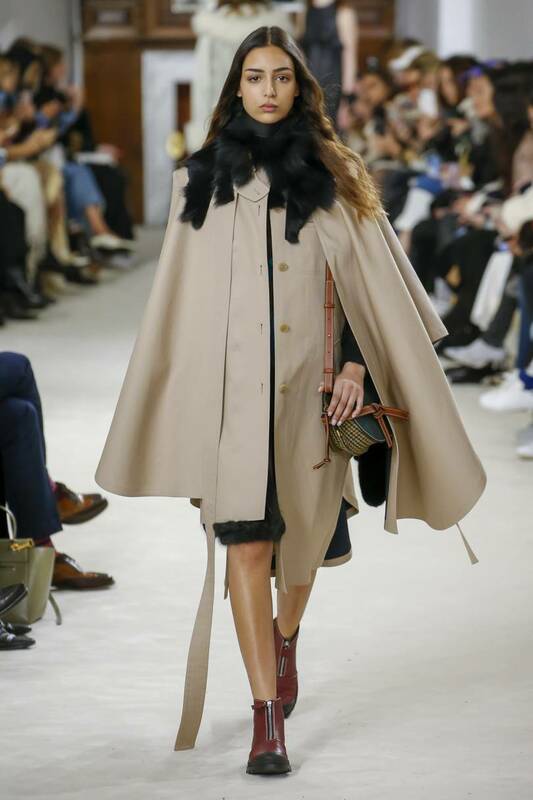 I’ve gathered together the hottest trends for Autumn/Winter 2018 as seen on the latest designer catwalks (which we all know will filter down to the high-street in no time at all!) to give you an idea of what we will all be lusting over in the upcoming months. Print, print and more print! You may have noticed that leopard print is literally everywhere in the shops right now and all over social media. The fabulous thing about this print is that although it may dip in and out of fashion, it is one of those classics that can sit in your wardrobe and be brought out again and again for years to come. 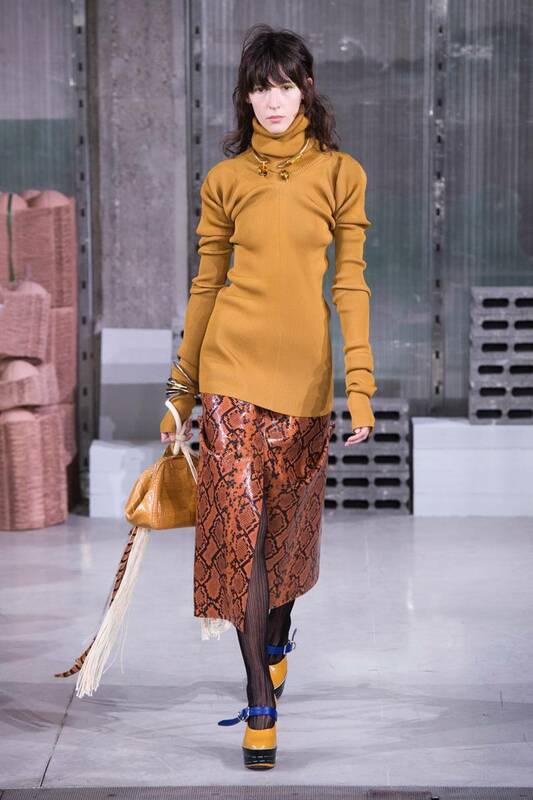 Not only is leopard print a hit but snakeskin, zebra and tiger prints were also seen across the catwalks. If you’re a little hesitant to wear head to toe print then adding a scarf, shoes or a handbag is the perfect way to add this trend to your wardrobe. You can buy this dress by Zara here. How amazing is this comfy looking zebra print New Look jumper from Asos?! This cute Topshop skirt can be bought here. For me tweed is a Winter staple - there’s something so classic and cosy about this look. A real investment piece will stand up to fashion trends for years to come. You can never go wrong with a tailored tweed jacket over a button-down shirt and jeans with boots. 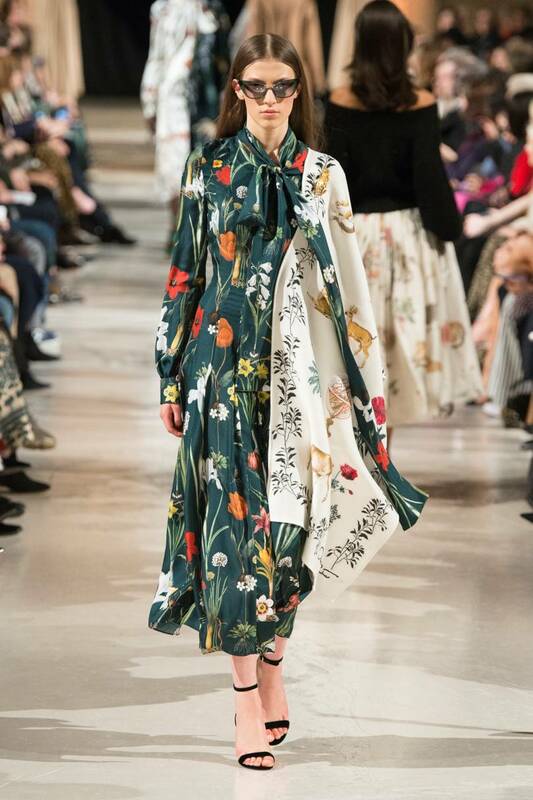 Silk scarf style prints were also heavily featured and give a regal and heritage feel to the print trend. 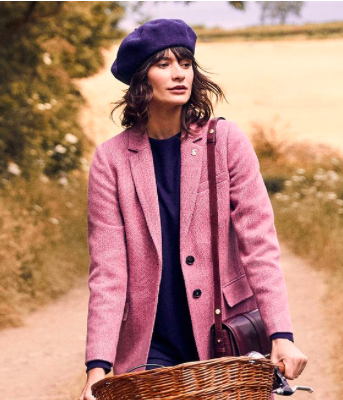 You can buy this gorgeous coat by Joules here. This kilt by Boden is definitely worth the price! You can buy this gorgeous dress by Zara here. I’m hearing this phrase over and over at the moment - it’s the buzz word for the new season (and is carrying on from last year’s trends). Simply put modesty dressing does what it says on the tin...it’s about covering up and embracing your female form through neat tailoring and chic details. Think refined sexuality - it almost feels as though the coverage of the ‘me too’ movement and a backlash against the ‘less is more’ way of dressing on red carpets in recent years has led to an understated and more modest approach to sensuality. 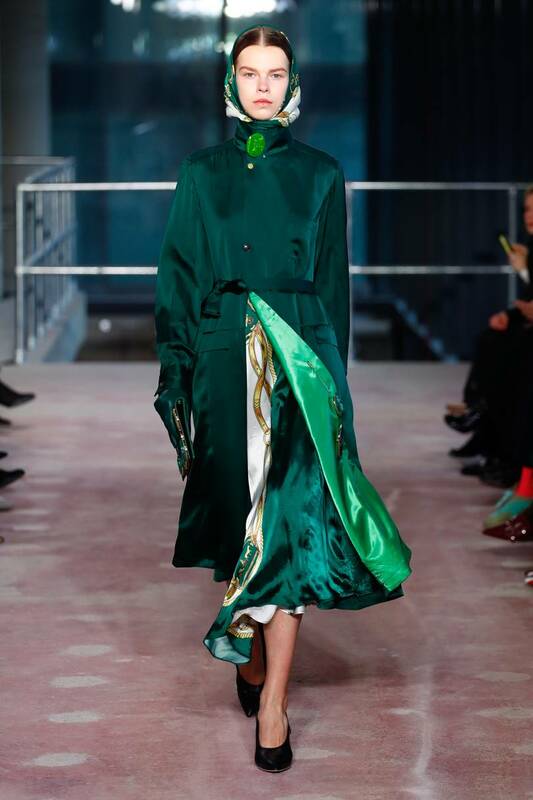 The strong message of ‘female empowerment’ has made its way to the catwalks. 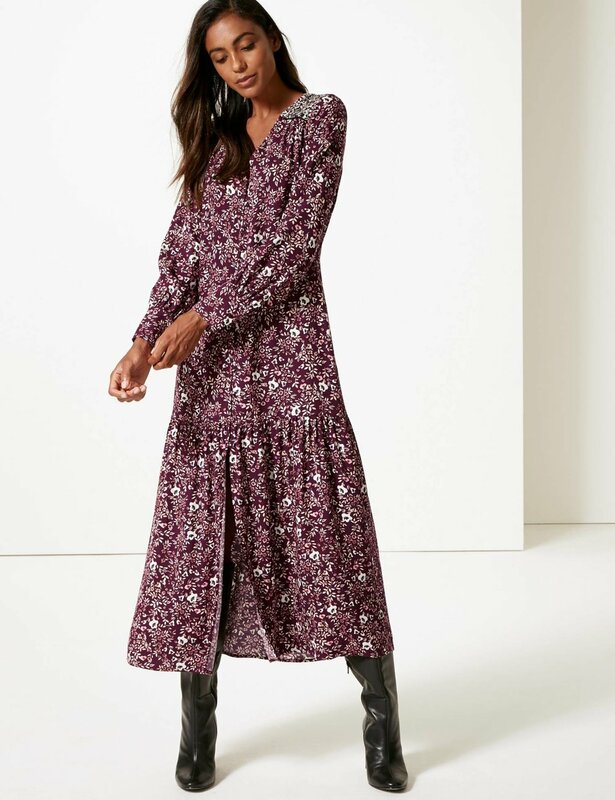 This dress was spotted on Asos. This nicely tailored dress was seen on Asos as well. You can buy this dress by M&S here. Have you noticed a come back in bootcut jeans in stores lately? 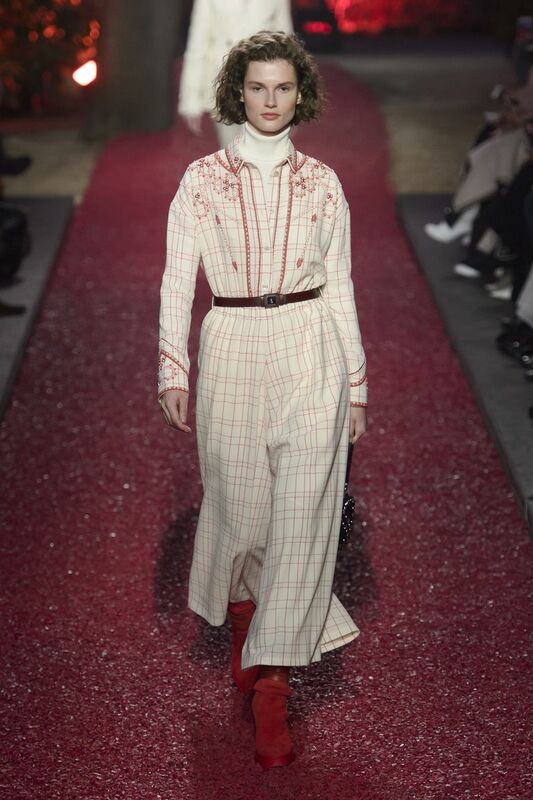 I’m not sure I’ll quite be ditching the skinnies just yet but there were plenty of retro influences from the past popping up in various designer’s collections. Incorporating the tan themed colour range will also keep you bang on trend with shades of brown and yellow a big hit across the board. This dress by Warehouse can be bought here. Blankets, capes, puffas and faux fur. Chunky knit layers that literally look as though you’ve snuggled underneath your favourite blanket is the look we are going for! Fringing, checks or plaid will gain you extra cool points! If you feel as though this look may be a bit much for you (I know being quite petite I would look swamped!) then a cosy statement scarf will give the same impact. This coat is by Zara and you can buy it here. 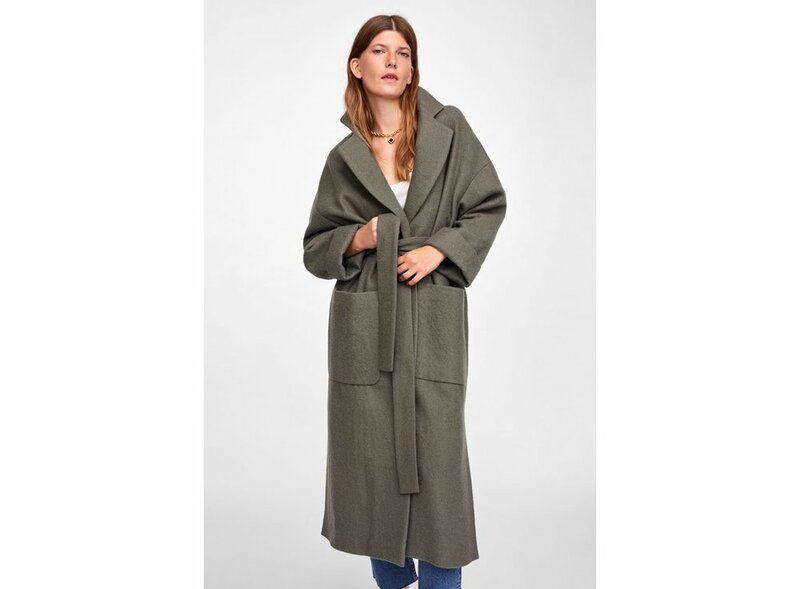 This poncho by Mango goes for a banging price of £35.99. Have a look at this nice poncho by Wish Chic here. This coat by Mango can be admired and bought here.